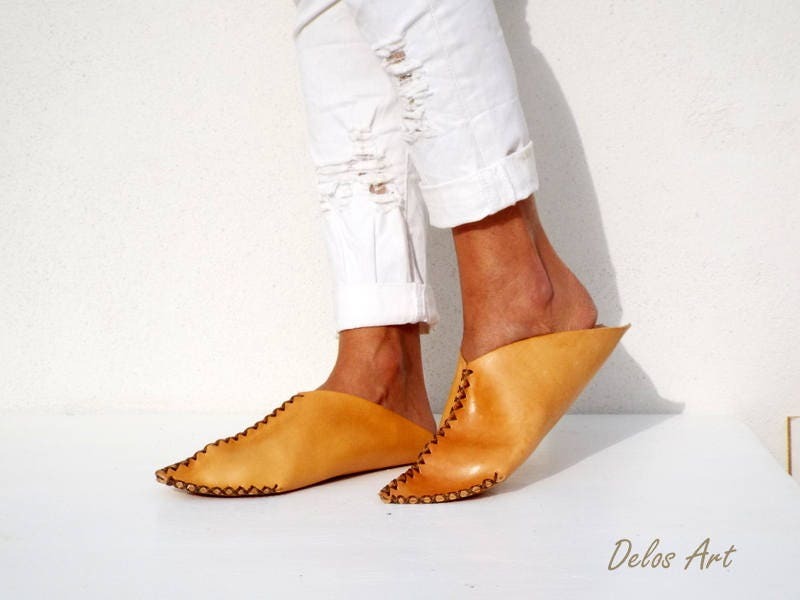 Handmade Delos Art leather sandals.All my slippers are handmade to order and need 6 days to be made. 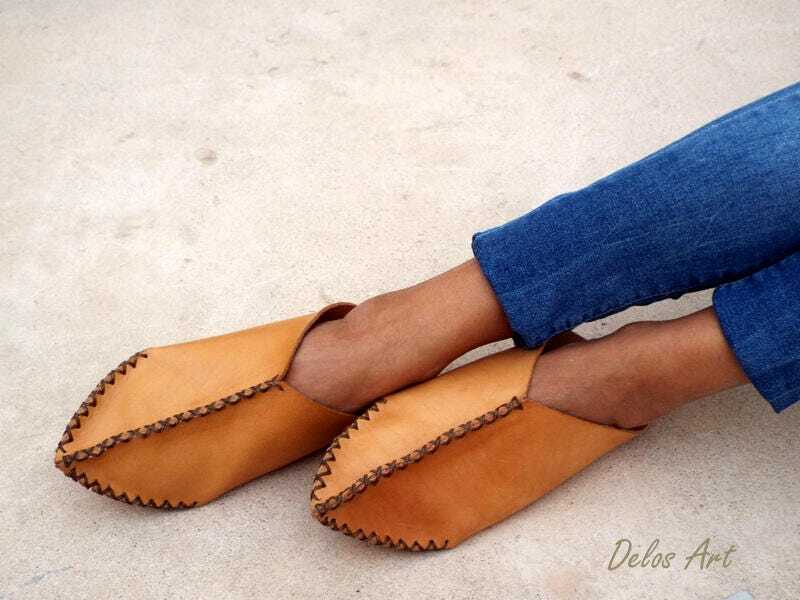 This leather is not so soft like my other slippers, but is very strong and last for many years. Also after some days wearing them the leather will be come softer and softer. 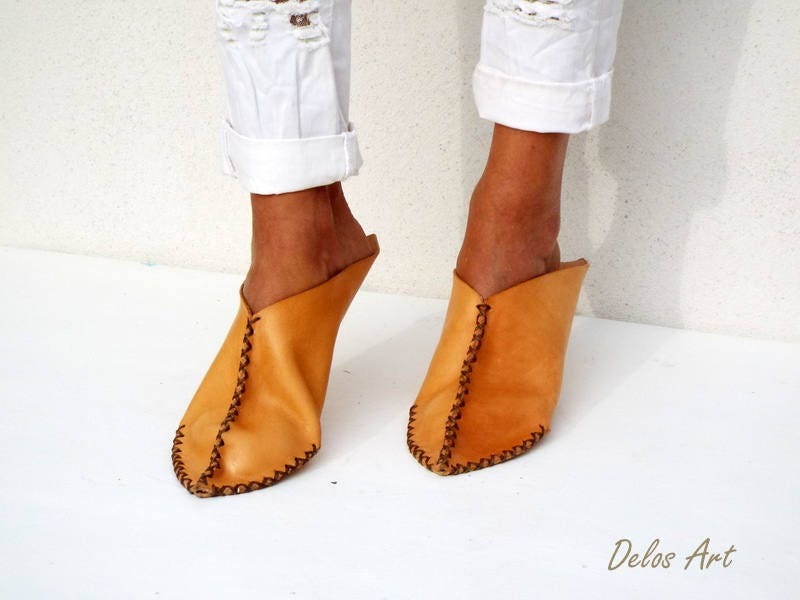 You can wear them outside in clean and dry place, the sole is leather. All the leather are 4 mm thick. 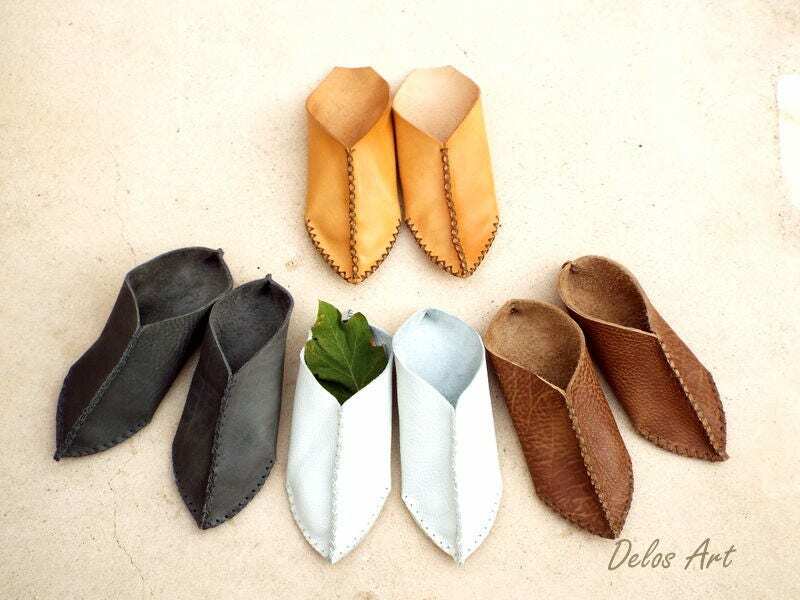 Leather slippers. 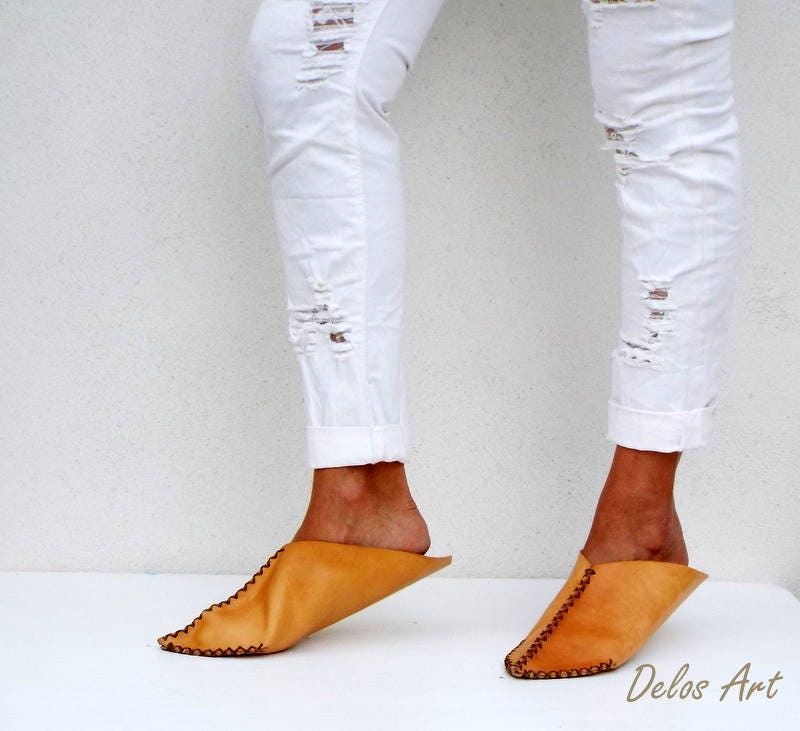 handmade leather Moroccan shoes, one piece nature leather slip on shoes, new Autumn and Winter 17-18 Delos Art design slippers! 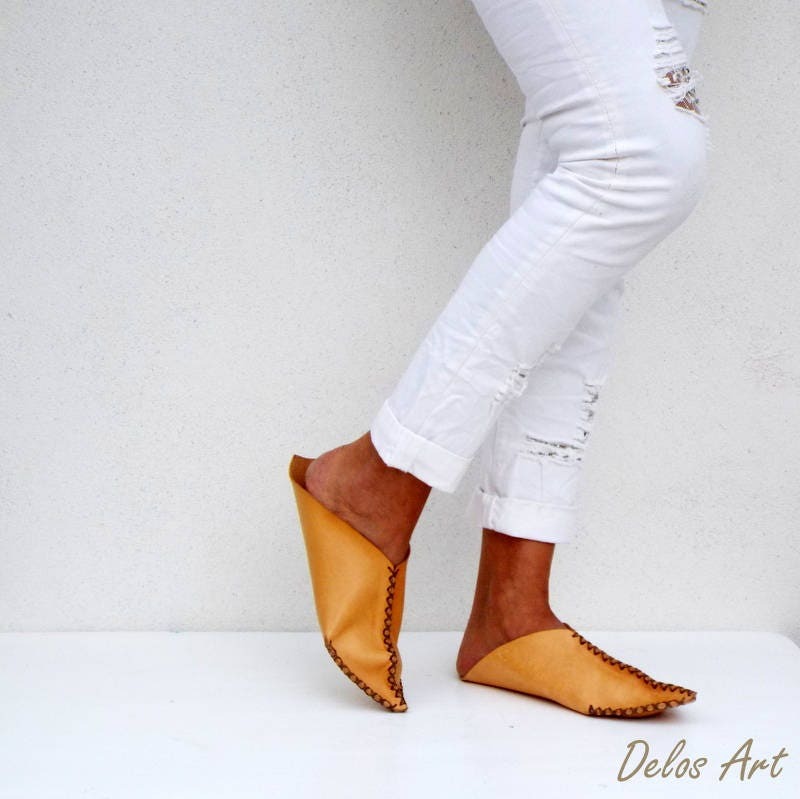 All of my leather Handmade sandals and slippers delivered in a cotton beautiful handmade fabric case perfect for a gift! !